I was going to put an elegant or witty spin on things, but why not just come out and say it. 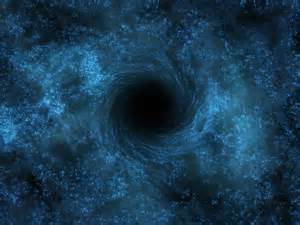 Like black hole sucking in all matter unfortunate enough to be near it sucked. For some reason, I was just sort of “off” all last week. I struggled on my maintenance runs (which almost never happens) and my planned 12-mile Saturday jaunt collapsed like a house of sweaty cards after a mere 7 miles. I even skipped two of my cross-training workouts in favor of some extra zzz’s in case I was rundown. 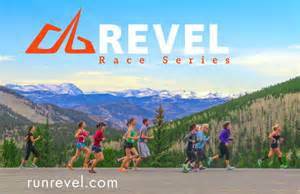 I’m finally able to officially announce that I’ve been chosen as one of the “Ambassadors” to the Revel Race Series (check it out by clicking here). Like Shirley Temple Black, Henry Kissinger and the “older version” of Mr. Spock, each of us 14 Ambassadors gets to spread the word… about this cool series of races. Let’s jump back to 2008 for this story, shall we. My sister-in-law Bonnie was the first person who told me I should get a running mantra. When I first heard her mention it, I was like “Who shot who in the what now”* (incidentally this is what I say when someone says something that completely baffles me). She explained it simply as a word (or words) or a phrase that you say to yourself when a race is getting tough and you need to focus and push on. On Sunday I’m running the OC Marathon/Half Marathon. Two different distances. So, which one am I doing? 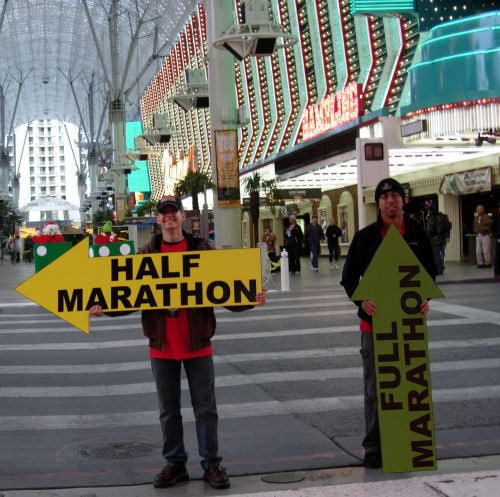 This will be the first time I’m running a full marathon where there is the option of running a half marathon distance. When I ran the LA and Chicago marathons, it was 26.2 miles or bust. 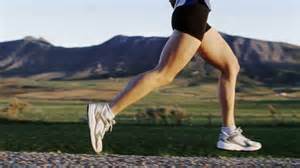 The vast majority of runners in OC will be opting for the half marathon distance. Last year, less than 16% of the runners selected the full marathon, while a whopping 84% chose to pound pavement for 13.1 miles (I was one of ’em). This last Saturday of April had me running solo for my final “taper” run before the OC Marathon next Sunday. It was a fun and leisurely jaunt in Griffith Park and around Glendale on a beautiful spring morning (fortunately the rainy weather left the area earlier than forecast). But rather than talk about the run itself (remember, fun and leisurely) I’d rather bring attention to one word from a conversation about the run that I had yesterday. If you’re a runner or a fan of the marathon, you know Patriot’s Day (the third Monday in April) is tomorrow and that means one thing… the annual Boston Marathon is being run. While this historic race has always gotten plenty of public recognition, last year it was thrust into the spotlight in a way that no one could have (or wanted to) imagine. The tragic (and also heroic) events surrounding the 2013 Boston Marathon will not soon be forgotten. Good luck finding this in Redbox. 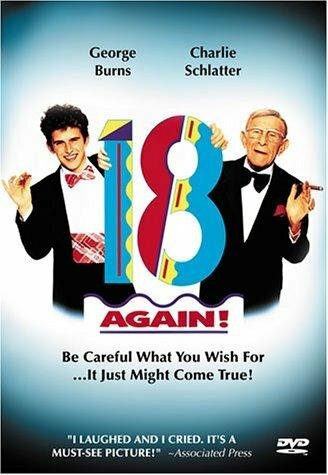 And no, this post is not about the George Burns/Charlie Schlatter “body switching” Freaky Friday wannabe flick from the 80s. I’ll wait while you check out IMDB to see if this movie actually exists or if I’m just making this crap up. Anyway, yesterday I talked about doing my first “solo” long run (17-18 mile) of 2014 and few of my trepidations. 17 or 18 miles, what was it going to be? Well, for those of you wondering (and if you were truly wondering, thank you, but you really should consider a different hobby), today was indeed an 18-mile jaunt around Burbank and in Griffith Park. So between work being uber-crazy and constantly watching “March Madness” (Go Badgers) in my peripheral vision, my day has been rather hectic. And it’ll be a little weird. Just a quick post on this Sunday, as it is a beautiful day outside. One week removed from the LA Marathon and I went for my first long run this morning. I would have gone yesterday, but since Friday night was my birthday and the libations were flowing freely, I opted to sleep in on Saturday morning and shift my weekly long run one day (I’m sure you approve). I was wondering if I’d feel fully recovered or if there would be lingering stiffness with my legs (I was still feeling it a little on Thursday). 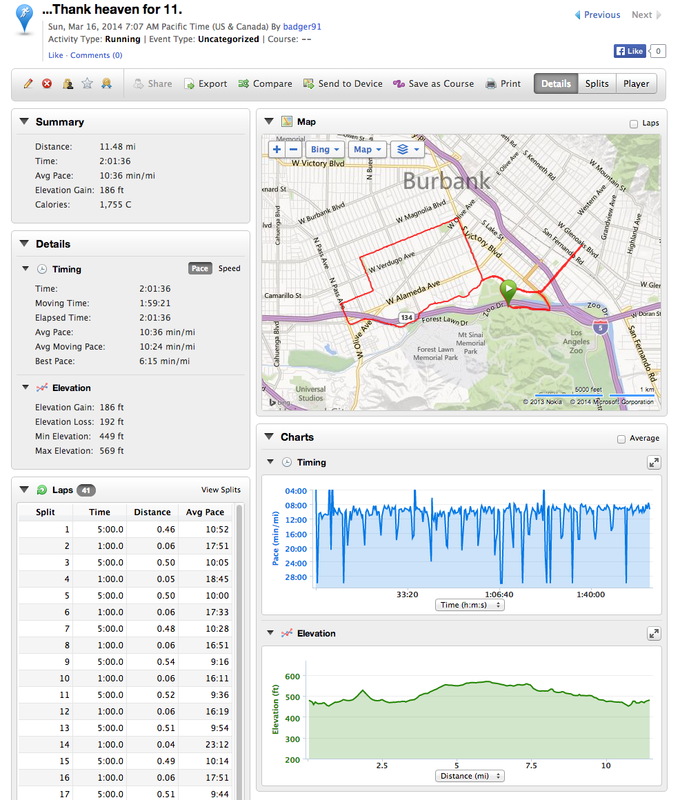 This was also going to be my first solo long run of 2014, now that the T2 training program is done until October. Now for those of you wondering… YES, I signed up for the 2015 LA Marathon and the T2 training program on Tuesday, right after they put up the notice. And I’m clearly not the only crazy one as several of my T2 brothers and sisters have given their “thumbs up” to training again in the fall too. It’s my birthday today. Another year older, another year wiser… or so they say. 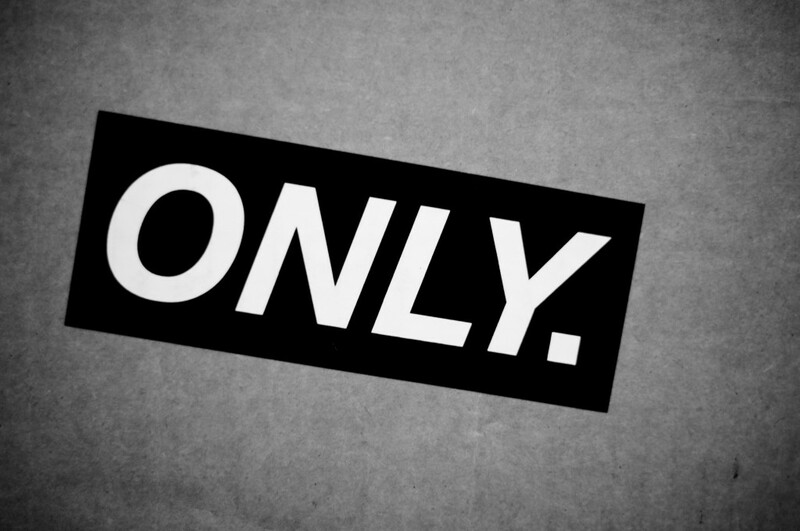 That remains to be seen. Birthdays are a big deal to me. I do it up right for my friends, as well as anyone I’m dating. It’s also the only day I unapologetically say, “Feel free to spoil me.” And it’s not because of presents (although those are nice too). 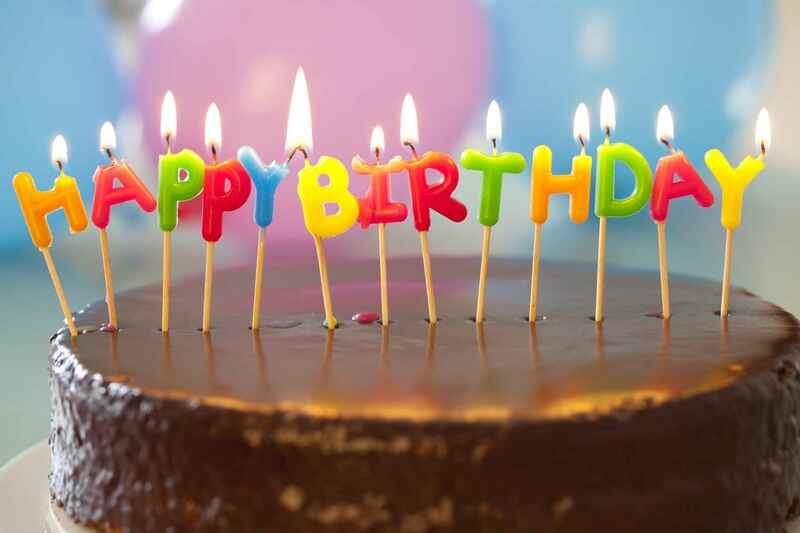 To me a birthday represents your day, the one day of the year where everyone gets the chance to remind you that you are special to them. Of course, whether they do or not is another matter. Well, it’s day three of my “forced” running hiatus following Sunday’s LA Marathon. I figured I needed a few days to mend from the pounding I just did to my poor body (what did it ever do to me). 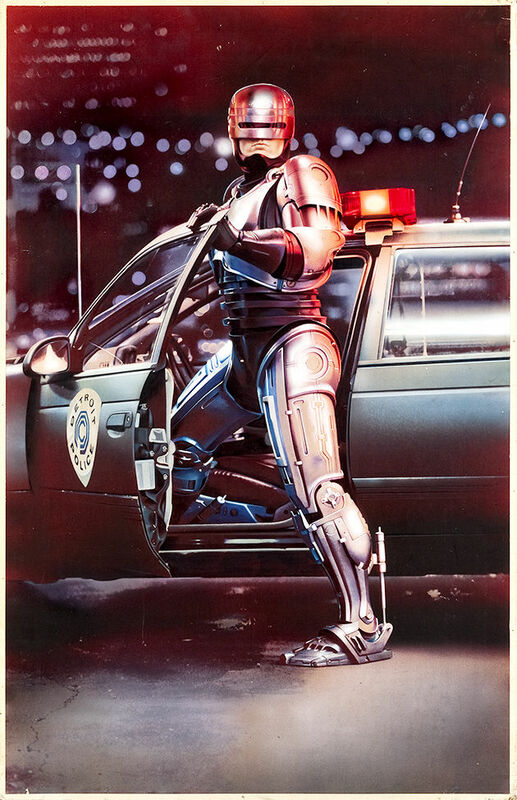 And clearly a little downtime was good, especially since on Monday my sore legs and stiff neck (from sleeping wrong) had me walking around like “Robocop” (the classic one). Over the past 48 hours, I’ve been swimming in a sea of race memories… from checking out my race results online, to grimacing at the “proofs” from MarathonFoto and perusing Facebook for posts and photos from my friends (and also strangers) about the whole race experience. And apparently feeding my running addiction. Roadkill… pretty much how I felt yesterday around mile 22. 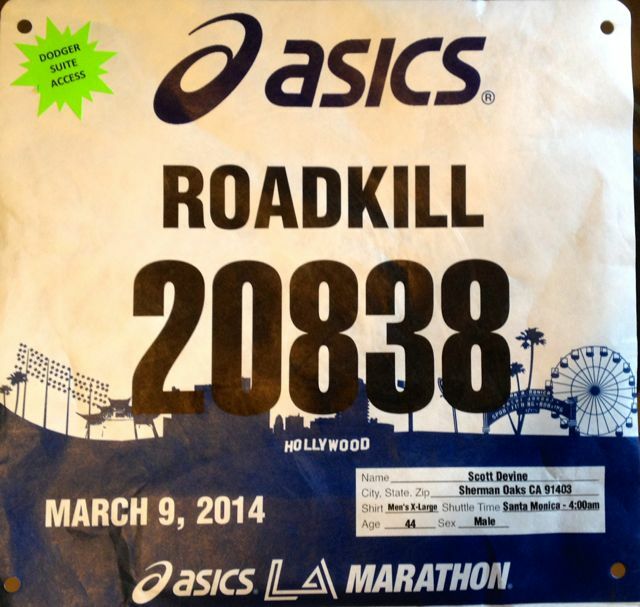 Just a brief post today as I analyze, ponder and pontificate about yesterday’s LA Marathon. I’m thinking about what went right, what went wrong and how I’d do it differently if I had it to do all over again. And still agonizing over that bloody heat. 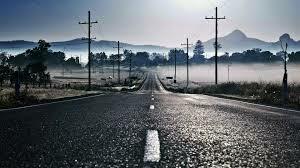 I’m also going to do my best to avoid the “Post marathon blues” (it’s a real thing) as you come to grips with the fact that the event you’ve been training for and planning for months has now come and gone. The pictures are posted, and my newest race medal is up on the wall with his brothers and sisters. The thing I’ll miss most now that the LA Marathon is over is not meeting up with my T2 family every Saturday morning for that week’s training session. I truly looked forward to seeing the gang from “Team Roadkill” and the rest of the T2 group as we hit the road together. Okay, so my runner’s OCD started kicking in yesterday and I’m sure it will be ramping up exponentially until the race starts on Sunday. So, I’ve already started my race prep… tapering/hydrating, laundry done, gathering gear, reading instructions, checking on the weather and starting on a 5-hour music mix. I’m on the fence as to whether or not I’ll hit the expo this afternoon or go Saturday morning. I’d prefer today, but it depends on the old work schedule. 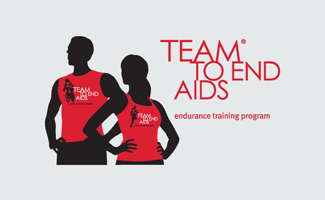 Tonight I have the “Triumph/Carbo-load” dinner at Maggiano’s with my running group Team To End AIDS (T2). More on that and photos to boot, later. But I wanted to start my prep by throwing out a number (as I’ve been harping on numbers all week). And it’s by far the most impressive number I’ll mention. The Los Angeles Marathon is one week from today, and every post this week will be about the “Stadium to the sea” run and my preparations (and trepidations) for it. 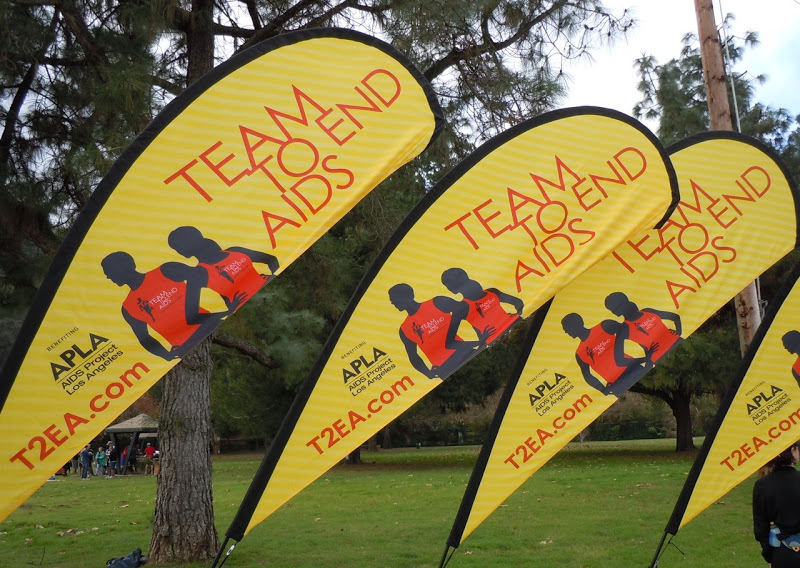 As part of Team To End AIDS (T2), my goal is to help increase awareness and raise funds to support AIDS Project Los Angeles (APLA). Last October I began my fundraising, asking everyone within the sound of my voice (or within the reach of my Facebook) to help contribute to this worth cause.